In appreciation of the brave men and women who protect our nation, the New York Film Academy is providing an exclusive opportunity for military service members and honorably discharged veterans to receive a 4-Week Scholarship to study at either our Los Angeles or New York campus during the 2014 calendar year. Participants need to create a 90-second video telling us your story, and upload it to your YouTube channel. In addition to the above points, we encourage participants to include a sampling of their creative work within the video. Perhaps you could edit in a snippet of a short film you’ve created, a scene in which you’ve acted in, or a couple of your iconic photographs. While this is not mandatory, it never hurts to show off your artistic skills! Participants must upload their 90-second video to their YouTube channel with the title “New York Film Academy Memorial Day Competition – Your Title/Name (ex. “Sergeant John Doe”). Once you have uploaded your video onto YouTube, copy the video’s URL link and paste it into a post to NYFA’s Veterans Facebook page. In your post to NYFA, include your name and contact information so we can reach the winners. If you’re uncomfortable posting your contact information online, please email your details and the link to your post to competition@nyfa.edu. Videos must be properly submitted by Memorial Day: Monday, May 26th 2014 by 11:59PM. • You’re able to submit a copy of your DD214 directly to NYFA, once we’ve contacted you as possible winner. • Winners will be announced before the end of June 2014! 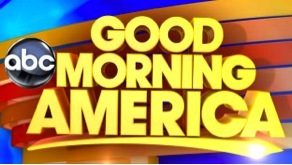 In honor of the upcoming Oscars, New York Film Academy students, alumni and faculty are invited to participate in an exciting Instagram video-making opportunity for a chance to have their InstaShort aired on ABC’s Good Morning America. Interested students, alumni and faculty are asked to make an “InstaShort”: A 15-second Instagram short film remaking a movie that’s been nominated at this year’s 86th Academy Awards. Participants are required to upload their finished film to their Instagram account with the hashtag #GMAInstaShorts, the film title, NYFA members involved, and tag @NewYorkFilmAcademy. ABC will be airing selected shorts and combine all submissions into one video that will be shared across all of our social media channels with a blog post of credits (school, students involved, parts they played, etc.). For your chance to have your video aired on ABC’s Good Morning America next week, simply post your “InstaShort” on your own Instagram account AND send your video clips to marketing@nyfa.edu by Tuesday, February 25th. If you have any questions, please email marketing@nyfa.edu. We look forward to seeing your entry! MFA Filmmaking student, Gabriela Zogall’s short film is one of 3 that was nominated in the category fiction/documentary at the One Minute Film & Video Festival in Aarau. Her short, Switching Channels, was created for a mise-en-scene project and was her first film she shot at New York Film Academy. The fifty-nine second, black and white 16mm film is simply about a couple in bed watching TV and fighting over the remote. We’ve all been there. The winner will be announced at the award show on August the 25th. Best of luck to Gabi! The Italian Ministry of Education in collaboration with the New York Film Academy and Mecenate 90, announce the first edition of “La Tua Città in Primo Piano” (“Your Town Up Close”). The initiative is a video contest open to all Italian private and public high school students, in order to promote film culture, the development of new creative expressions and enhance the artistic talents of a younger generation. There will be two competitive sections: the first, “Nuovi registi in città” (“New Directors in the City”) addressed to individual students who will try to achieve a commercial (a video lasting a minimum of 30 seconds to a maximum of 3 minutes.) The video can be any theme, as long as it presents an important aspect of their city. 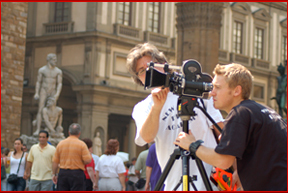 The second is “Una scena per la tua città” (“A Scene For Your City”) addressed to the teachers to shoot a video with their classes. The topic of this video is an adaptation of a famous movie scene shot in Italy. Students can then share their videos via social media in order to get as many votes and as much exposure as possible. The ten videos with the most votes will be considered the finalists and a committee, consisting of representatives from NYFA and the Ministry, will select the winner. The winner will receive a scholarship for a 4 week filmmaking workshop and accommodation at the New York Film Academy in Florence.